Ames MPF 10X Exposure Medium includes a Solution A with 10-fold Concentrated Medium and a Solution B with 700 ul Buffer. 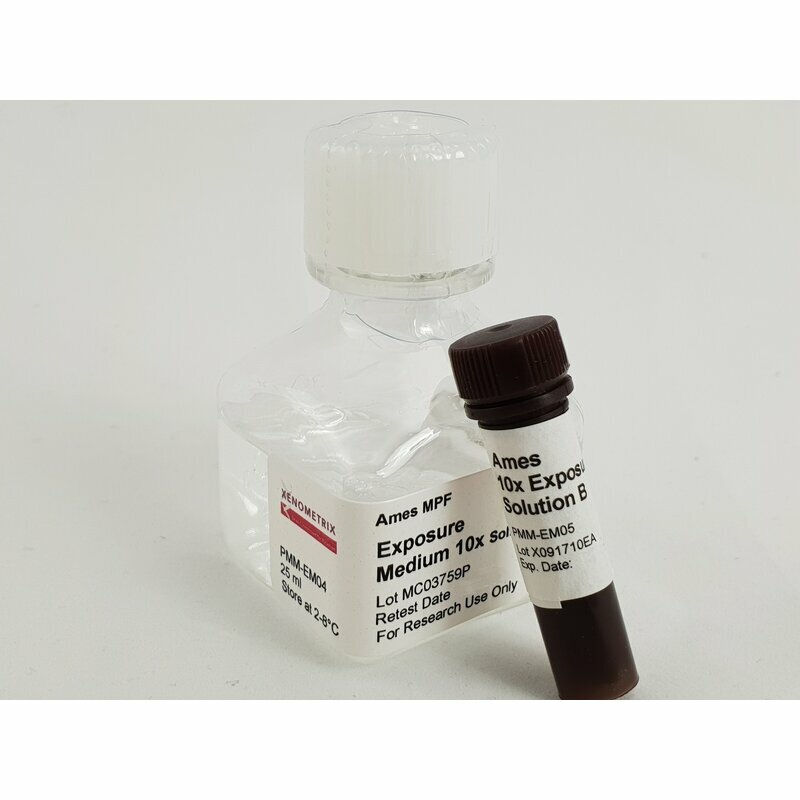 The Media is used with the Bioassay Ames MPF Aqua Kit system and allows to test for samples which cannot be concentrated: Surface or Waste Water, Extraction Solutions of Medical Devices (ISO11993) or of other extractable Solid Samples. With the Ames MPF 98/100 Aqua Kit, the sample is significantly less diluted (factor 1.2) as compared to the other Ames MPF Test Kits. Ames MPF 98/100 Aqua can be used for testing water samples according to ISO11350, it has minor, but simplifying procedure deviations. The Test Kit is widely used for screening of micropulants in waste water treatment plants. Drinking water samples are usually concentrated with SPE columns and can be tested with the regular Ames MPF 98/100 Test Kit.